The head of the world’s largest operator of golf clubs has said that golf needs to get its ‘head out of the sand’ and start offering much quicker rounds. Dana Garmany, the founder, CEO and chairman of Troon Golf, which operates more than 200 golf courses in the world, including 80 prestigious venues in the USA and six in the UK, said that just because three-to-six hour rounds of golf have been successful for the last 50 years, this does not mean this is the appropriate model of the game for the future. He told Golf Business News: “The people who enjoy and play the game now are looking for ways to reduce their time exposure, and we want to assist with that. But perhaps more importantly, we find a large group of people will not even try the game because we do not have a ‘one hour’ game, or something they can do without a full or half day commitment. “The key to survival is change, and for people to get their head out of the sand and realise just because something was done a certain way for 50 years, it does not mean it will be successful going forward. Young people do not think golf is cool and do not think the rules make sense, do not think the dress codes make sense and are not going to take six hours somewhere away from mobile phones or text and email devices. Mr Garmany said the industry needs to look to other sports that have successfully reduced the time commitment necessary for participants. “Cricket has tried something new on the time element and I think golf has to find various different ‘games’ that can be done in an hour or 90 minutes that keep people in the sport,” he said. At the recent KPMG Golf Business Forum, Mr Garmany said that Troon Golf is considering the idea that early starters on each day know that they are expected to complete their rounds within a set time. His comments come as the USGA has announced it will bring in measures to reduce slow play and Peter Dawson, CEO of The R&A, has said that 18 holes of golf deters some people from playing at a time when many golf clubs need as many golfing customers as they can get. I agree that there needs to be the ability to play golf in a shorter time. A number of solutions, firstly stop making new golf course so long with long walks between tees, secondly how about designing 18 holes of golf with three loops of six holes, thereby giving options of 6, 12 or 18 to play, depending on availabable time and lastly get players playing quicker, i.e. ready golf rather than the current trend of playing as slow as they do without any thoughts of others. Frank, I am not sure long golf courses are the total blame; slow play exists on most courses regardless of length, competitive play and just some players taking more care/time are the main reasons with their pre shot routines. The majority of courses have a returning nine so reduced golf (9 holes) has been with us for some time. I am not totally convinced there’s much mileage in promoting 6 hole golf, the idea of golf in 1 hour sounds great but I think with the travelling involved to and fro we should be thinking 2 hours golf as more of a minimum. 9 hole competitions are a great idea, perhaps a running midweek 9 hole stableford, so as a member knows on any evening he can go up for 9 competitive holes that counts for his handicap. I like the idea of the pro’s promoting it via a competition, we tend to follow what they do. Good thinking – though some need tweaking. » Golf needs to get its ‘head out of the sand’ http://t.co/PJGXyHPwdh Good points.However Golfers need to be re-educated! Examples please? I agree Clubs do need to get there head out of the sand but I don’t think this is the issue facing golf going forward. I believe golf clubs need to start treating visiting golfers as customers rather than a necessary evil! If I spend £50 a head when I am out to dinner, someone takes my coat, calls me sir and constantly asks if I am enjoying my meal. Often, if I visit a club as a non-member I am ignored and am rarely greeted with such service. Clubs need to start focusing on ‘service’ not slow play! » Golf needs to get its ‘head out of the sand’ http://t.co/gldejRD5Sx Interesting article, I agree golf needs a version of 20-20! Dana, Hear, hear! I have been touting exactly what you are saying for at least 35-years. Too long to play, too expensive, too difficult. 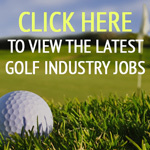 Nine hole golf courses – yes! Drop 1935 dress codes (like Village Links of Glen Ellen near Chicago). When will PGA Tour allow shorts? Bring back the family. Slow down recreational golf course greens.